Health and Safety Legislation states that there is no upper limit of temperature in the workplace. This means you can’t just stop work when it gets really hot. 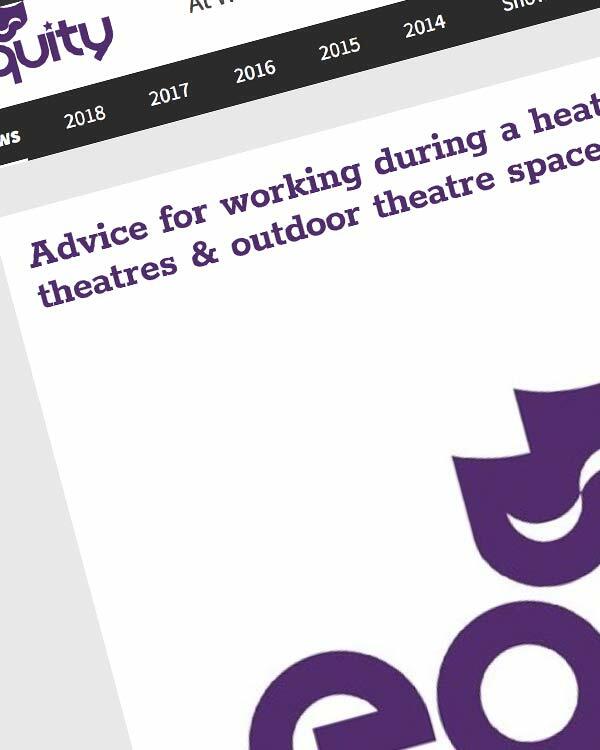 All departments are affected when temperatures are consistently high from performers and stage managers, musicians, wardrobe and technical operators, all of whom have specific needs and ways of improving the uncomfortable conditions. 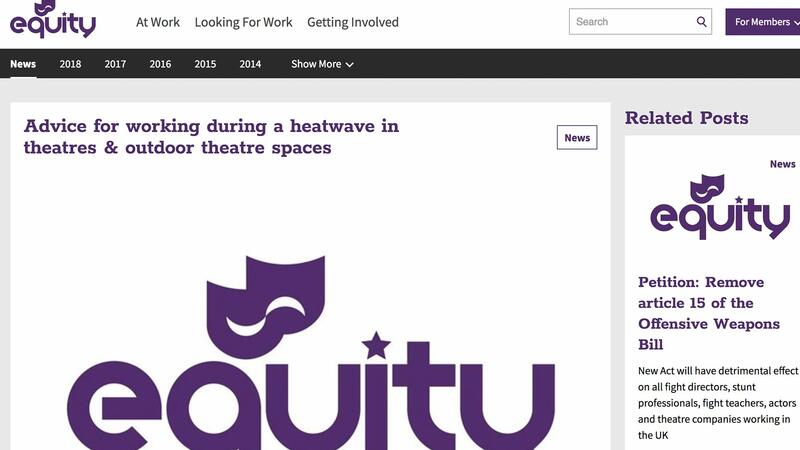 This site seeks to encourage creative artistic talent to obtain fairness and justice in the exploitation of the works they create. The operators of Fairness Rocks accept no responsibility or liability for the accuracy, or otherwise, of the material featured. The information is intended only as a general guide to the film and music industries. Nothing on this site should be relied upon as legal advice. A specialist copyright legal adviser should be consulted where a reader has a particular legal or commercial issue in relation to matters referenced.